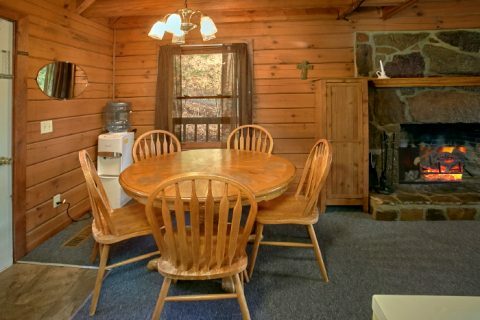 This rustic and cozy Pigeon Forge cabin that’s close to Wears Valley, TN. 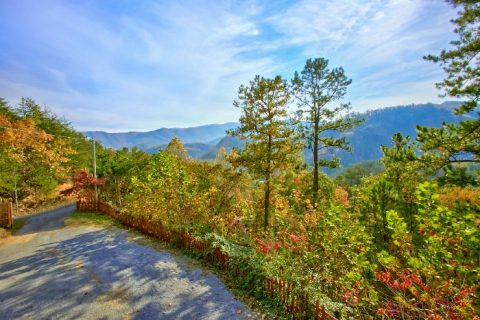 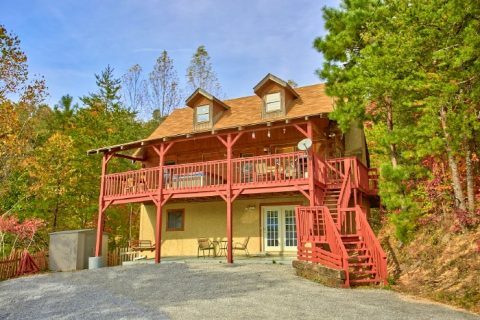 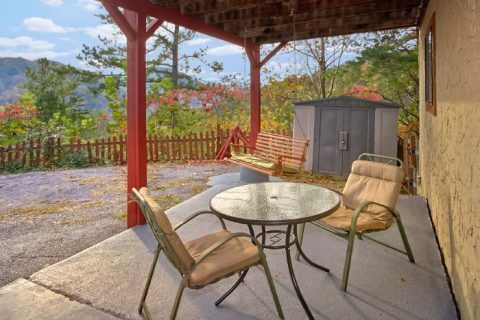 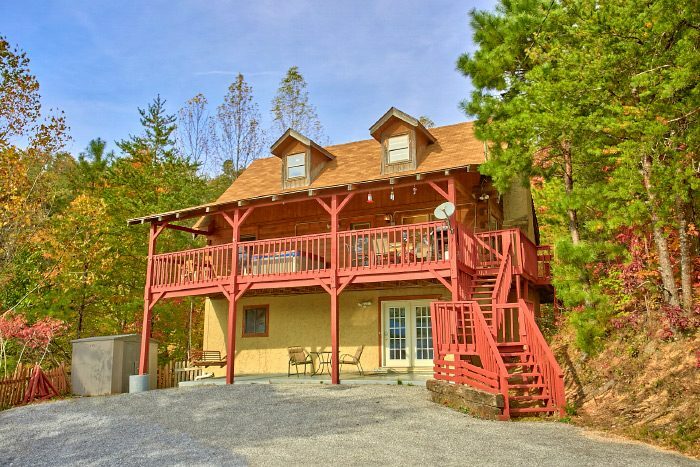 "Owls Mountain View" offers guests a 3-bedroom Pigeon Forge cabin rental with a convenient location to the main parkway in Pigeon Forge, while still giving vacationers an affordable, comfortable cabin on a wooded hillside. 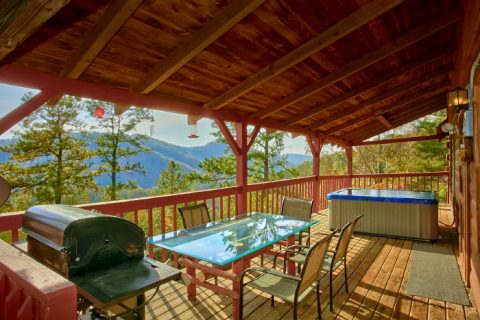 "Owls Mountain View" welcomes guests with the best of both worlds with modern conveniences and rustic mountain charm. 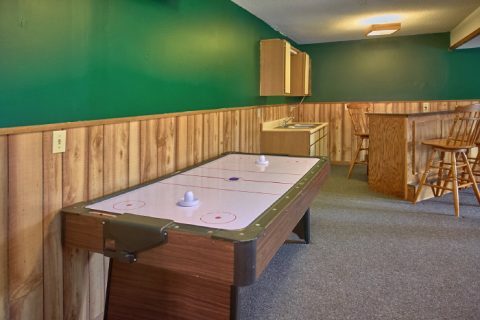 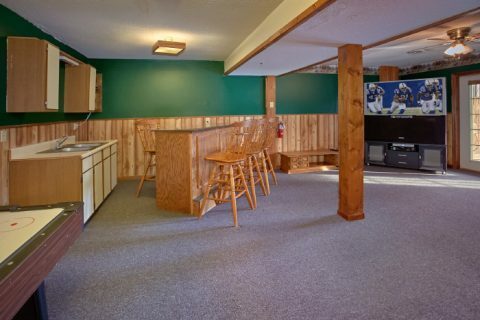 Guests will also enjoy the game room equipped with a sleeper sofa, a pool table, an air hockey table, a mini kitchen. 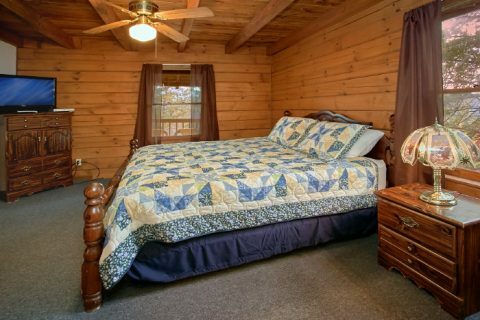 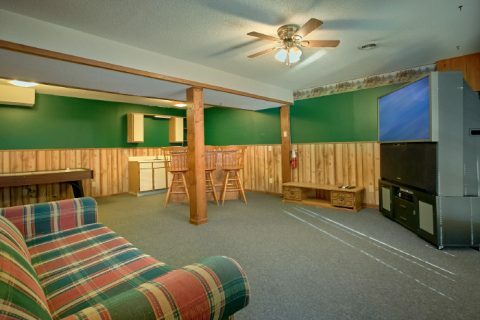 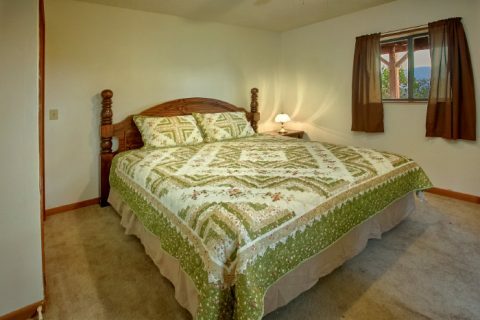 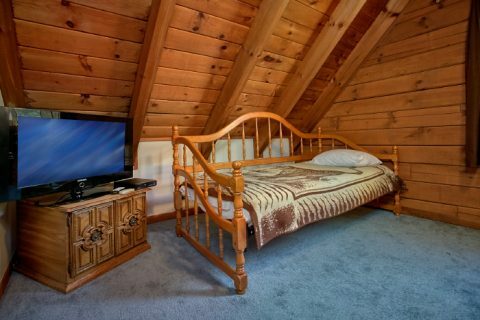 Your 3-bedroom Pigeon Forge cabin rental's main level also features a king bedroom with private bath. 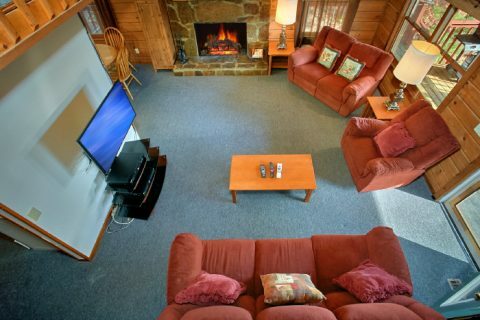 Upstairs, the second level boasts a comfortable living area that centers around a wood burning fireplace. 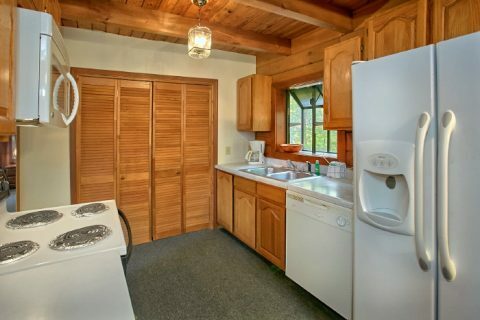 Nearby the kitchen stocked with all the pots and pans for cooking in cabin meals allows you to enjoy hearty country breakfasts around the dining table. 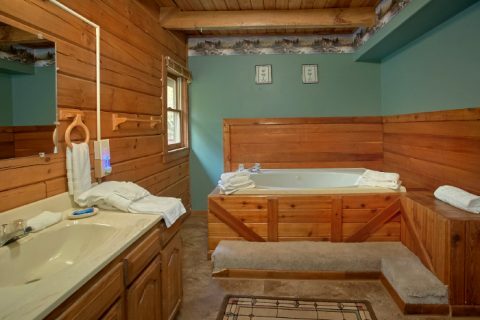 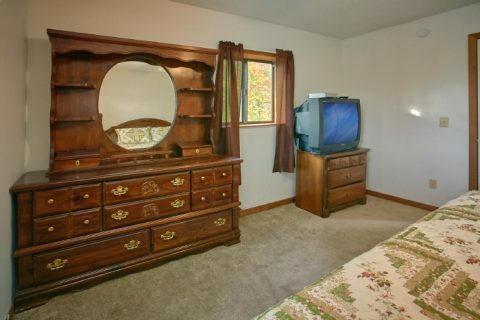 This level's king bedroom features a private bath with large jacuzzi tub for extra relaxation. 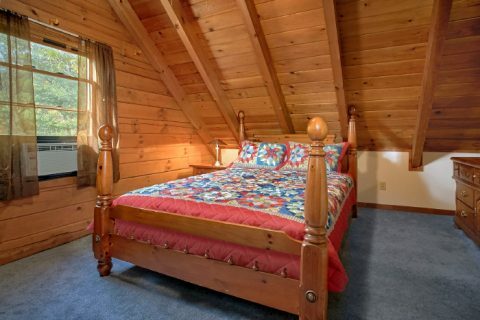 The top level of your cabin in Pigeon Forge offers plenty of extra sleeping space with a queen bedroom, extra twin bed, and an attached loft with a day bed. 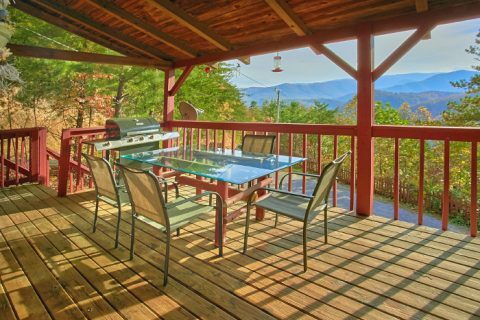 Both front decks face the beautiful mountain views, making the perfect backdrop for your cookout on the gas grill. 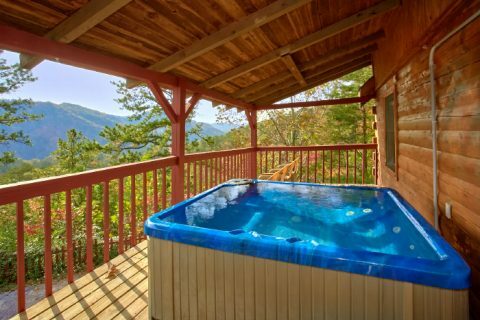 The warm waters of your hot tub or your cabin's porch swing make the perfect places for soaking in these spectacular views. 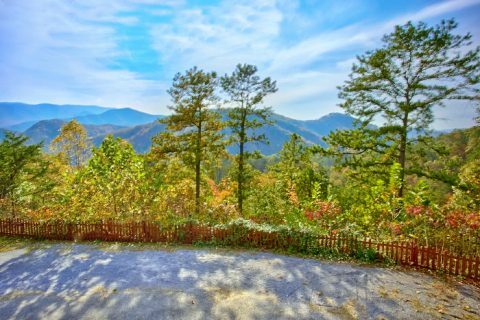 "Owls Mountain View" gives vacationers a rental with mountain views that still allows you to enjoy all the sights and sounds of Downtown! 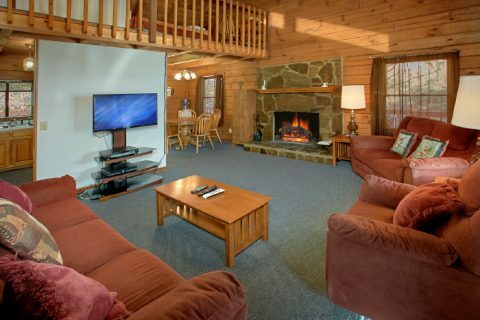 Remember when you book any of Cabins USA's Pigeon Forge cabin rentals online you receive an immediate 15% online booking discount.